Leema Dhar, B.A. 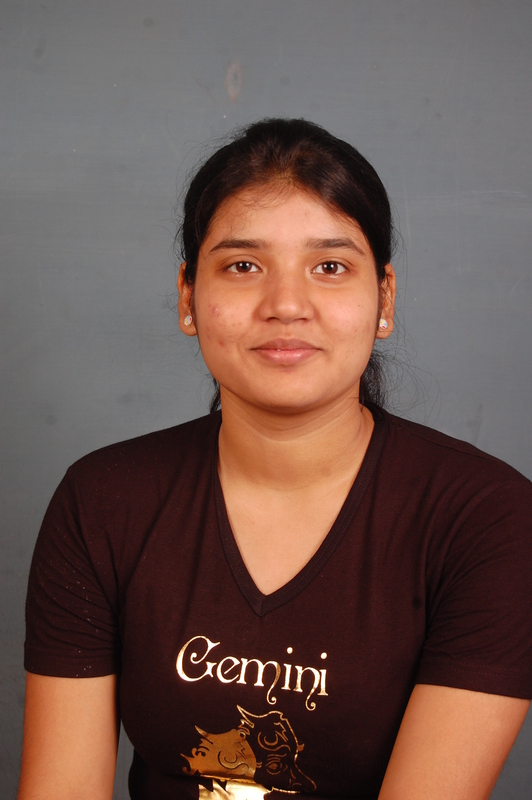 1st year student of Allahabad University; completed her ISC from St. Mary’s Convent. She left her AIEEE rank for her creative passion bloomed at the age of only three. She is the youngest bilingual poet and writer in India. Her first collection of Hindi poems ‘Kuch Lafz Naqab Mein’ (2007) published at the age of only thirteen. Second one in English ‘For The Hundred Tomorrows’ (2010). She got huge coverage/critique from print and electronic media. She was nominated consecutive second time for Hindustan Times Women Achiever Awards (2011&2012). This is her debuting fiction that will surely mesmerise you. • When did you begin writing? • How did writing come into existence in your life? And there on began an enigmatic journey of me and my unknown ability to juggle with words. • How does it feel to hold your book in hand? Leema: I’d actually felt the sensation and exhilaration at the end of my nerves when I held my first Hindi poetry book way back in 2007 at the age of thirteen. But then since I’ve undergone a metamorphosis from a poet to a fiction writer, I had a different kind of emotional feeling this time. I held my debut fiction ‘Till We Meet Again’ in my hands and with teary eyes I’d told dad ‘This is ME!’ It hasn’t been easy for the initial stage of transformation. I felt like I’d been left alone wandering in the middle of the sea with no directions. But in the end, I managed to reach the shore. And I’m glad I’d made the decision of taking up an audacious task. Now, I feel I’m on the right track! • Being a debut author for your First Book “Till we meet again”, what hardships you had to face while writing as well as getting your book published? Leema: I’d initially begun with a painful journey when I started getting rejections earlier this year. But all of a sudden my life took a 360-degree turn when I got seven proposals within five weeks (from April to end of May) for my debut fiction ‘Till We Meet Again’. In the middle of May I was about to sign a contract with an esteemed publication house in Mumbai, but then I got a sudden call from the CEO of Diamond Books, Mr. Narendra Kumar Verma, who convinced me over the phone with half an hour chat, and I ended up signing with his esteem publication without a second thought. He’s a great mentor for the budding authors. He gave me the platform to start my journey with ‘TILL WE MEET AGAIN,’ which is now history. For my second fiction, the journey had been quite easy when I got the mail from CEO, General Press, Mr. Azeem Ahmad Khan ( after four weeks of submission) while I was going through the edited version of my script of the first fiction and then followed consecutive three offers one after the other from various publication houses. I had a memorable experience while working with General Press, for my second fiction ‘Mom and I love A Terrorist’. Azeem Sir known as a great mentor for young authors, offered to publish my book within two months. His generosity and guidance have made me reach both the common people and the literary class. • How did you come up with the title of both the books? Leema: I believe that in order to be the writer who can influence a wide mass one should live each character while writing a fiction. I just step into the shoes of the character I’m writing about and start living my life in the cobweb of my story. Each character of both my fictions has made me who I am today. And while I talk to them when I’m in my dark room of study, I feel they are near me, and as I become attached to Nishi or Kelly ( the protagonists of both my fictions), I come up with the title I think will be most appropriate to describe their lives. And that’s what I did. Now after getting the huge response from my readers, fans, friends and critiques, I know the titles have influenced them highly, and I feel a sense of contentment that I’d been able to do that. • Tell us something about yourself? Leema: I love to lead a simple life; I can love people and can read their silent words. I’ve my perfect mom and dad, both of whom stay awake late at night by 2-2.30 am just to hear me read out to them the piece of writing that I finished on the day. It may be a ten-page chapter of my fiction or a piece of prose of poetry. Since I’ve command in both English and Hindi, it’s easy to pen down words fluently in either of them. I also wish to be a travelogue as apart from reading, tasting and chewing books I love travelling! I prefer to go to Kolkata (my ancestral home) by road, so I could stop anywhere I feel like and enjoy the different tastes of nature. Nature has always been my first love. Apart from that, my interest lies in subjects like English Literature and Psychology (that I’m currently pursuing in graduation). That’s all of ‘LEEMA’ in a plate. Leema: I’d begun with writing popular fiction; that’s preferred by the young adults these days, what we call as chic-lit. And my next fiction ‘MOM AND I LOVE A TERRORIST’ changed the perception of people who’d considered my only as a romance writer. That had been challenging for me to give my readers a different taste of stories each time. While chic-lit can make us popular, literary fiction helps in the establishment in the near future. And I’m equally confident of mould flavours of both types from my upcoming fictions too! • What are your future plans? Do you plan to take up writing on full time basis? Leema: Absolutely! I’d finished my debut fiction by the end of last year and the second by the end of May this year. Furthermore, to provide a strong base to my academic qualification I’ve been concentrating on my mainstream studies too as I’m keen on engage myself in a daytime job. As an avid reader of contemporary fictions and some of the literary works by great writers, I’m surely going to take up writing on full-time basis and surprise my readers each time with my works leading them to a different world. • What kind of reviews have you got for your book till now? Leema: Oh! I’ve been flooded with reviews and feed backs of readers, fans and critiques. Each time I come across one; I have a smile on my face and feel a sense of fulfillment. While on one hand appreciation from people across the country make me feel worthy, one must remember that we are not born to satisfy everybody! But what I keep in mind is that I should have a strong power of judgment in what I do and in the different ways I deal with the characters of my fictions. Once I start living their lives, they lead me to my destiny. • Are you working on your third novel? Leema: Not only have I finished my third novel that’s tentatively titled ‘THE GIRL WHO KISSED THE SNAKE’ I’m currently working on my fourth fiction (I’ve not yet finalized a title) and numerous freelancing projects. • Authors that you believe changed the literary scenario of India? Leema: I believe Arundhati Roy (God of small things), and Arvind Adiga (The white tiger)have carved a niche for themselves and for the country to have achieved International success. On the other hand, Chetan Bhagat has proven to be an inspiration behind many young minds. Moreover, I admire the myth and history behind the most influential trilogy ‘Immortals of Melua’ by Amish Tripathi. • Who is/are your favorite Author/s? Leema: I’ve grown up reading Ruskin Bond and Jhumpa Lahiri, who’s been an inspiration for me with her wonderful narration. I’m also fond of Cecelia Ahern and Nicholas Sparks. Leema: Having mentioned the authors above ‘Friends in small places’ and ‘Angry River’ are my favourites; and of course ‘THE NAMESAKE’. I loved ‘P.S. I LOVE YOU’ and ‘WHERE RAINBOWS END’ and the beautiful love stories in the form of ‘A WALK TO REMEMBER’ and ‘THE NOTEBOOK’ that I’ll always cherish. • And finally, any advice or suggestion you would like to give to aspiring authors and readers? Leema: First, those keen on entering the creative field, should know that this is a ‘big bad world’. It’s initially full of rejections and disapproval, and if you lack faith in yourself and family support then one may even land up in depression. When I left engineering (AIEEE) to enter this field, many people then told me that I was on the wrong way. However, God has been kind enough to prove them all wrong! A little bit of belief in self, dedication towards work and honesty in your dreams can make you reach heights. Once established, one must continue working if they plan to take it up as a core profession. Frankly, enough, I don’t remember sleeping more than three four hours a day after my two fictions were out in the market; establishment comes with responsibility, and I’m used to it now, so now I’m focusing on my writing and along with that, my mainstream studies. Being a writer is being the voice of people. So one should work, not only for fame and money’ but for society and people and live each day with a world of thoughts and imaginations. Being a writer if not different, it’s just observing differently. So, hold on to your breath and start off with the ride. Those keen on become an author, can reach heights if you trust yourself and convince your family for the support. You are sure to live up to expectations and live your dreams! Wish you good luck! 2. Mom and I Love a Terrorist: Can Happen with a Man in Dark? November 20, 2012 in Authors Interview.